HK30T Valve Seat and Guide Machine is used to rebuild cylinder head valve seat and guide, uses America engine rebuilding technology design and manufacture, is widely used in cylinder head rebuilding. 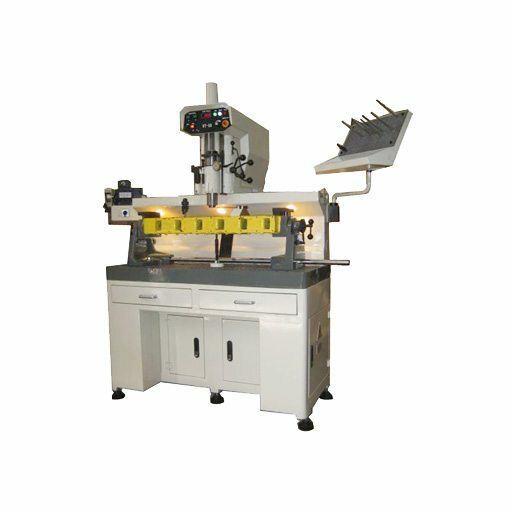 This machine include machining, testing and insert sharpener, form a total machine system. This machine could meet all of common cylinder head rebuilding with rich tools and adjustable fixture. Old cylinder head always become bend and transformation because long time working in a high temperature condition, it's difficult to find the base to rebuild the valve seat and guide. HK30T uses air flotation working head and taper pilot, location fast and high precision, could rebuild the valve seat and guide. The valve seat and guide is severe wear after long time working, the tightness between valve and valve seat, guide is not satisfy requirement. We always change a new guide, and machine the valve seat or change a new valve seat and then machining the sealing surface. There is a big problem is how to find the new guide center and how to make sure the run—out between guide and valve seat sealing surface is good enough after machining. These elements determine the tightness is good or bad. Our air flotation system and taper pilot could solve this problem. Because of the taper, the pilot could easy fixed in the guide hole, so this pilot center is same as guide hole, the pilot is a benchmark for adjust fixture, spindle and machining. The spindle is fixed in the air flotation head, could waggle from left to right. The cylinder head fixture could rotate in and out, so we can make the spindle center almost same as the guide hole. The cutting head unit is ball head connection design; this structure could transmit torque, and reduce the influence of coaxially between spindle center and pilot center. Because of the air flotation, the total head unit could move very easily, so the head unit could find the pilot center by itself when we step on the air.